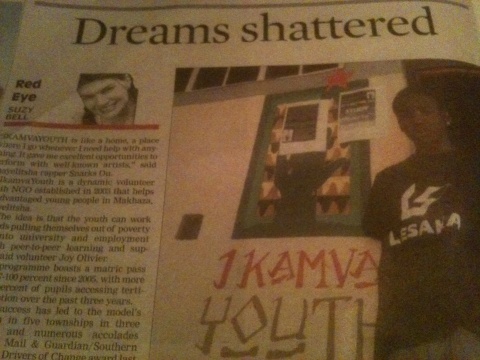 “IKAMVAYOUTH is like a home, a place where I go whenever I need help with anything. It gave me excellent opportunities to perform with well-known artists,” said Khayelitsha rapper Snarks Ou. 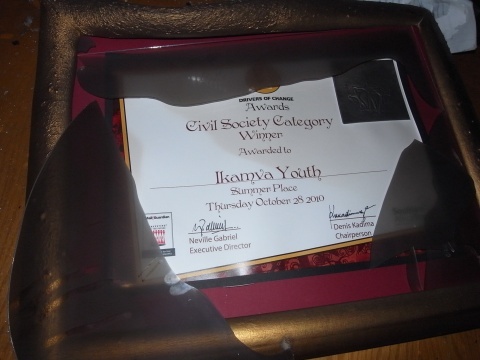 IkamvaYouth is a dynamic volunteer youth NGO established in 2003 that helps disadvantaged young people in Makhaza, Khayelitsha. “The idea is that the youth can work towards pulling themselves out of poverty and into university and employment through peer-to-peer learning and support” said volunteer Joy Olivier. The programme boasts a matric pass rate of 87-100 percent since 2005, with more than 70 percent of pupils accessing tertiary education over the past three years. Their success has led to the model’s replication in five townships in three provinces, and numerous accolades include the Mail & Guardian / Southern Africa Trust Drivers of change award last year. Joy said all their computers had melted, and all equipment, records and resources were reduced to ashes. Digital cameras for their photography project were destroyed, as were new smartphones they were using for a UCT/Nokia project to make documentaries. Artists such as Snarks Ou have hugely benefitted from being a bolunteer on the creative arm of IkamvaYouth on the media, image and expression programmes. “It is such bad news and I appeal to readers to help us start again because there are many children here in Makhaza who still need to benefit from this important organisation.” Realising that their dreams “is now going to be inmpossible unless we revive IkamvaYouth”. The rapper said IkamvaYouth was a place where people could go to any time of the day and work on their projects, rehearse and type their CVs. “It’s a place where no one pays to use the resources or for anyone’s help because we are all volunteers. It was a place that, importantly, kept children off the streets. I have been to Durban to perform my music because of this organisation. I have been doing big shows in Cape Town and that didn’t just happen because they liked me or something, but because I was dedicated and have been a learner with IkamvaYouth from the start,” said Snarks, who has written a song dedicated to IkamvaYouth. “The song will be a bonus track on my album to be released later this year and will also be available as a free download on the IkamvaYouth website, he said. Snarks said he was influenced by the hood and dope rappers. Born in the Eastern Cape, he was raised by a single grandmother. It was here that his love for rap music developed and by the age of 12 he had penned his first lyrics on cardboard boxes. His first hit song, Iyelenqe, was produced by Pzho. He has since worked with Mashonisa from BackYard Records, a talented producer in Khayelitsha. He has opened for both Backyard Crew and Teargas and has performed in and around Cape Town in sessions, clubs and music events, sharing the stage with rappers including Driemanskap, Rattex and Backyard Crew. He has also performed with DJ Fletcher, Digital Analog and members of Freshlyground. An unsigned artist, Snarks is now looking to take his career to the next level, “but without the back-up of IkamvaYouth, or being signed up, this feels impossible”. Suzy Bell is a writer, poet and columnist runs Red Eye Creative where she and a small team create and curate contemporary cultural projects celebrating Africa in Cape Town. 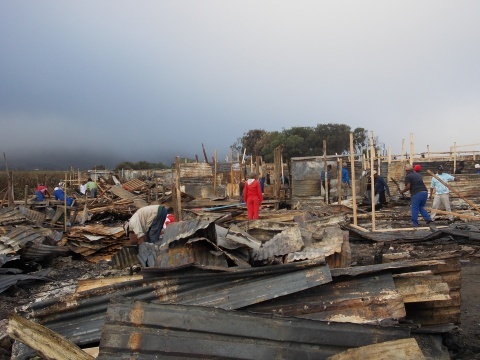 * IkamvaYouth is urgently calling for donations of digital cameras, film equipment, computers, office furniture or monetary donations to help fund the rebuilding. See www.ikamvayouth.org or call Winile Mabhoko at 0798854372, or email winile@ikamvayouth.org. Following a land dispute and service delivery protests in Makhaza, IkamvaYouth’s head office in Makhaza was petrol bombed. Although there were ikamvanites in the office when the attack first began, they managed to escape and thankfully nobody was hurt. We’re now seeking support to help us refurbish the office and replace all we’ve lost. Big up thanks to Bonny Astor and Anna Telford for making this film to help IkamvaYouth! 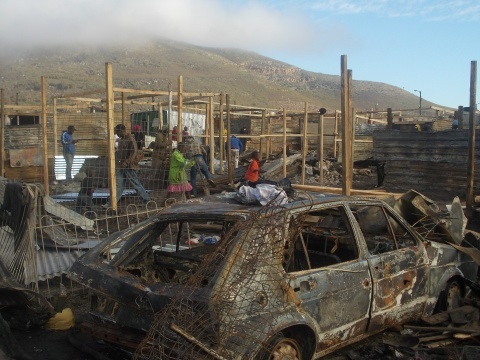 In the early hours of the morning on 2nd May, Masiphumelele was ravaged by the angry snapping of fire. The fire is said to have started toward the west of the township and swept quickly and ferociously into more than a 1000 homes. Shacks were predominantly affected but there are houses too that are standing as hollow shells of the homes they once were. 7 Ikamvanite learners were amongst the victims. ‘Everything is destroyed’ said grade 10 learner Linda, as she stood in line to receive her ‘kit’ to rebuild what her and her family had lost. Whilst the ‘kit’ is something, it consists of a meagre portion of wood and corrugated iron. A couple of the learners are not entitled to a rebuilding kit as their homes did not have formal numbers. When asked what she needed, Tandazwa Nocanda, a grade 12 said ‘I don’t know where to start… everything’. Her brother is searching for materials to start building their new shack today. Tandazwa was alone when the fire began, her brother was visiting the Eastern Cape; ‘I didn’t know what to do, I was so scared, I was terrified’. When her friend woke her at midnight on Sunday, she quickly changed into the clothes that are now her only possessions and fled the flames. She wasn’t able to grab anything. It is horrendous that these young people who are so eager to change their futures have been affected so heavily by this accident. Their school books, study materials, and uniforms all went up in flames. Today, school was closed as so many learners had nothing. Tomorrow, they will attend school and they hope to receive school uniforms and books to help them continue to study for the imminent exams that commence in 3 weeks. The most pressing needs are the provision of clothing, school uniforms (shoes in particular), blankets, sheets, towels, mattresses, kitchen/cooking equipment; pots, pans, cutlery, monetary donations for the re-building of houses. Avile Mabhengu, a grade 11 learner, is sleeping on his friend’s floor and wearing his best friend’s shoes that are a size too small. There is a real need for any donations people can contribute; be it money or in-kind. Any donations for the Masiphumelele community can be delivered to The Pink House opposite the Community Hall, or the Living Hope building on Kommejtie Road. The IkamvaYouth Man Club (a group of boys in grade 10-12 would like to get together and go and help paint shacks in the community. If there is any help with paint, paintbrushes, wood seal, etc this would be great. Any monetary or in-kind donations for our learners specifically, or for more information, please contact zoe@ikamvayouth.org to arrange collection or make a payment to the IkamvaYouth Masi bank account (details below).